Cubano from the film Chef | Is Life a Recipe? For breakfast this morning I had some very lucky family. They got Cubano from the film Chef. It’s one of my all time favourite films. How could it not be, being such a foodie. Written, Directed and lead role from the amazing John Favreau. That film was also a major influence on the new tattoos. Bless him! Anyways to Cubano from the film Chef. 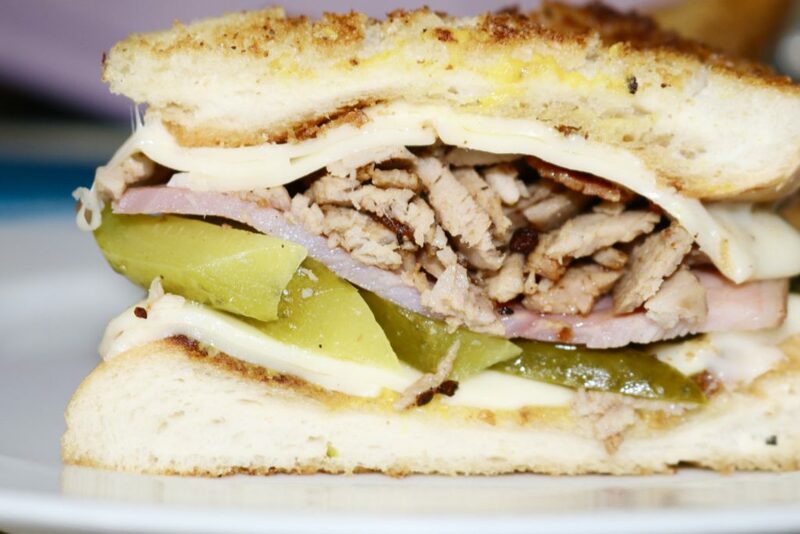 Cubano is a Cuban sandwich. It’s a style of a good old UK favourite of a ham and cheese sandwich. It apparently originated in Key West and Tampa, Florida in cafes that were catering for Cuban immigrant workers. It was then taken to Miami, and to this day it is still very popular. The sandwich is made with ham, roast pork, Swiss cheese, pickles and mustard. It was the popular dish they served from the food van in the film, and here is my version. Cut in half and plate up. Seriously how good does Cubano from the film Chef look. It is an absolute cracker of a dish. Whole of family Kennett and BeBe raved about it. Get the film on, get an icy cold beer, and munch on your sandwich. Heavenly. Believe me this is a belter of a dish for all the family. Get on it because I absolutely guarantee you will – ENJOY!!! No Replies to "Cubano from the film Chef"